In today’s world of constant ‘noise’, how do you best connect with your target audience to share our message and begin the relationship that can turn into a conversation for our business? In an effort to engage our audience in a way that will allow them to consume our information, we must be proactive in our marketing. 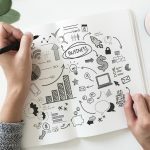 Here are some of the best strategies that are working well for experienced online entrepreneurs. This is the art of creating written, audio, and video content to attract new prospects and to reaffirm your value to ongoing clients. 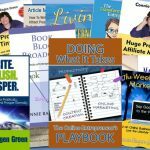 I do this with my blog posts, articles for the directories and offline publications, my YouTube channel, my books on Kindle and in paperback, my teleseminars, my two podcasts on iTunes, my short reports, and more. The key is to just get started and your content creation plan will fall into place almost effortlessly. 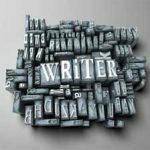 I also recommend that you do all of your own writing in order to find your voice and get into the habit of creating content regularly. Share your life experiences with your audience in a way that allows them to get to know you on a deeper level. If you think about some of the greatest people in history, it’s their stories that we remember. We think of Abraham Lincoln as the man who walked two miles to return some money to someone who left it in his store. We remember people because of the actions they take, the choices they make, and the way they handle adversity. That’s their story, and you will want to tell yours in a way that allows your audience to know you a little better each day. I’ve become very well known for making ‘huge profits with a tiny list’. By engaging the people you already know, instead of simply looking for more new people all of the time, you can build a successful and gratifying online business. 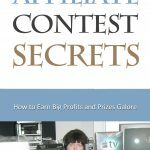 I learned this early on when I won an affiliate contest where most of the people had more than twenty thousand names on their lists. I only had about two thousand at that time, and still came in first. Connect regularly with the people who have already raised their hand in a vote of confidence for you and what you have to offer. We connect more easily with people whom we have met in person, but that isn’t always possible when you work online. Instead, use teleseminars, podcasts, photographs, and videos to make your connection with people around the world seem closer. When I attend a live event anywhere in the world, people rush up to greet me because they recognize my face or my voice. A picture is worth a thousand words and our voice holds great power for connection with others. You can do the same thing to make yourself larger than life on the Internet. 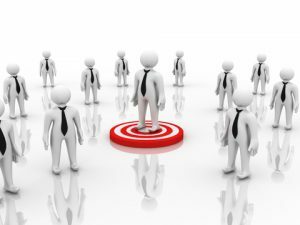 How are you spending time each day to connect with your target audience? 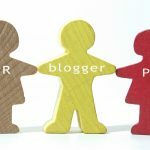 Are You Effective at Getting PR for Your Blog?